The Ride for Hope was started in 2009 to help community members struggling with cancer and other life altering diseases. 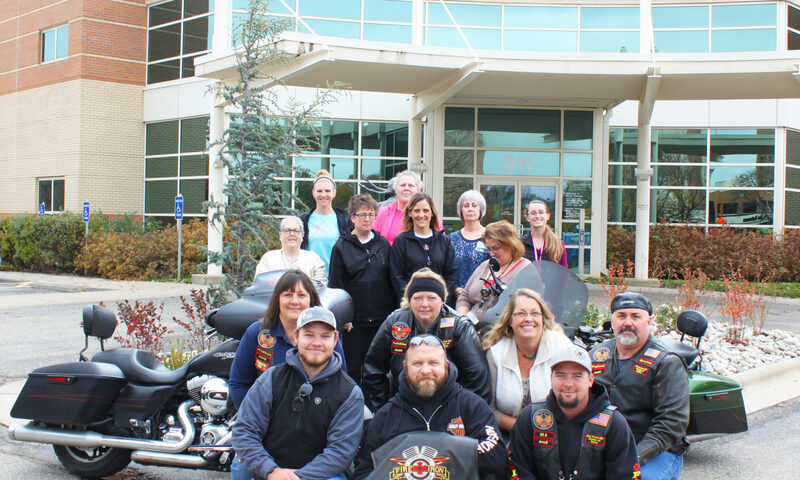 Each year the Ride for Hope raises funds and hope for one local recipient, along with a portion of the funds going to Tammy Walker Cancer Center to help hundreds of Kansas residents. The Ride for Hope consists of a 100+ mile benefit ride that winds through the Kansas country side stopping in small towns at some of our favorite destinations. Once we return to Salina we host a charity auction along with drawings for several prizes that have been donated by local and national businesses to help us raise money for the recipient and Tammy Walker Cancer Center. It is a great time of fellowship with fellow riders and local supporters. We have many participants that show up every year from the local community and the surrounding states. If you know someone that you feel would make a good recipient please fill out the form below, make sure to give us as much information as possible.